Bruce asked if Johnny Bench had any comment to give me after I caught his line drive during the 1970 World Series. Yeah, Johnny Bench gives me a hard time every time I see him because of the 1970 World Series. At the 1971 All-Star Game, he hit a one-hop line drive to me and I lunged out and caught it and threw it to first base. Before he could get out of the batter’s box, he threw his bat in the air and I think I reminded him of the 1970 World Series. He was a great player and he certainly had his days in the World Series and throughout his career. They just converted the "1970: Year of the Birds" onto a CD. It is narrated by Chuck Thompson and Bill O?Donnell. I have some autographed copies available on my website at brooksrobinson.com. 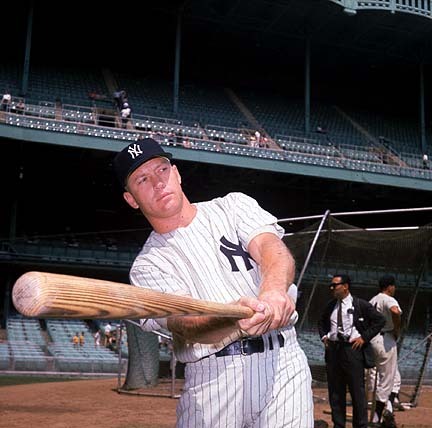 Bruce also asks about the picture of me and Mickey Mantle at second base and whether he was safe or out. Really, I don’t remember. I always write "Out" when I sign it and Mickey always signed it "Safe." The umpire was Nestor Chylak — who is in the Baseball Hall of Fame. For the life of me, I don’t know if he was out or safe. Larry from York, Pa., asks on my MLBlog comments if York can build a stadium and survive financially. I don’t think that there is any doubt the York area can support a team. Look at what has happened in Lancaster. It’s been amazing over there — 6,700 on Opening Day on May 11. They have been drawing great crowds. You have to look at it this way — it is a great way to bring a community together. The ballpark will be the largest gathering place for the community in the York area. That’s what it’s all about — family outings and kids. The biggest thing is that they found a location on Arch Street and I think it is going to be great. I’ve seen how the stadium is going to look if it gets built and I think it is going to come to fruition. If it happens to be independent league baseball — that’s fine, too. Fans are going to see good baseball. I’d say that 95 percent of the people who come to the ballpark come for the entertainment. With Minor Leagues, the price is right. I think it is an outing for the whole family. Kevin asks about a photo he has called The Human Vacuum Cleaner. That is a unique way to sign something. 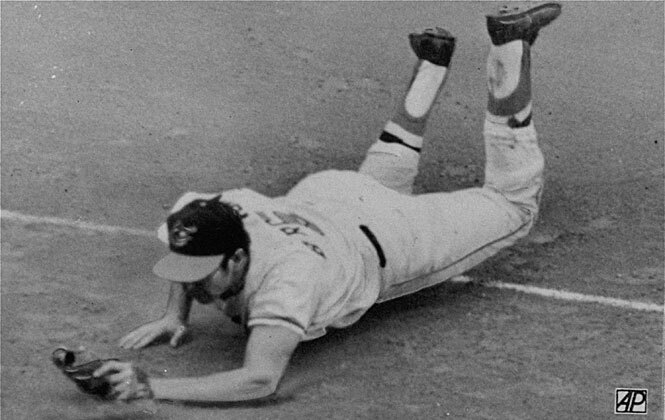 Lee May of the Cincinnati Reds said after the 1970 World Series, "Man, that guy is like a human vacuum cleaner down there." I get many requests to sign "Human Vacuum Cleaner." It took me a while to learn how to spell vacuum. I do sign a lot of photos like that. If you have one, I believe it is authentic. You can find various signed memorabilia through my official site at brooksrobinson.com. Becky says that Raffy has been maybe the most consistent player in the league during his tenure. Becky, I think he may have had a little help, too. For me, the weakest answer he could have provided is that "I did not knowingly ever take steroids." My suggestion to him is not only to come clean with Congress but also to come clean with the public. There is no reason he can’t come clean. He would not be violating any confidentiality policy. Major League Baseball and the Players Association can’t say a thing. Obviously someone leaked it from somewhere and that’s too bad, but I don’t think we would have ever known if it was not disclosed. I understand there are two Bills in Congress — one by Jim Bunning and one by John McCain. It looks like this is going to come to fruition one of these days when Congress is going to set the law for steroids and they’ll be a lot tougher than they are now. Ten days is not the right number of days. I’m thinking if Congress does it, the penalty will be two years for the first offense and a lifetime ban for the second offense. Palmeiro owes the fans an explanation. Stanozolol is something you can’t buy over the counter so Palmeiro’s argument gets even weaker. You have to know what you put in your body. I’m getting tired of hearing people say they didn’t knowingly put anything into their body. That’s the weakest answer. If there is another side of the story, then we, the public, would sure like to know it in a hurry. There are a lot of disappointed Hall of Famers. My wife Connie and I left Cooperstown and drove to Traverse City, where I’m doing an appearance for Ernst & Young. Ernst & Young sponsors the Baseball As America traveling exhibit. The exhibit goes to 12 different cities. It started in New York a couple years ago and has traveled to such places as the Smithsonian and this year to St. Louis and Houston. It goes to Oakland next, and it will be coming to the Detroit area in March. This is a wonderful exhibit and anyone in the area should visit it. It talks about everything that has happened in baseball for the last 100 years. Ernst &Young has been a wonderful supporter of the National Baseball Hall of Fame. After Traverse City, I’ll be on my way to Detroit for a family wedding. In the meantime, I look forward to reading more of your comments here on my MLBlog, and please be sure to visit my official website at brooksrobinson.com to see what’s over there.